This highly durable cart bag has been constructed with a 3x longer lasting material, without the excess weight (3.2kg). 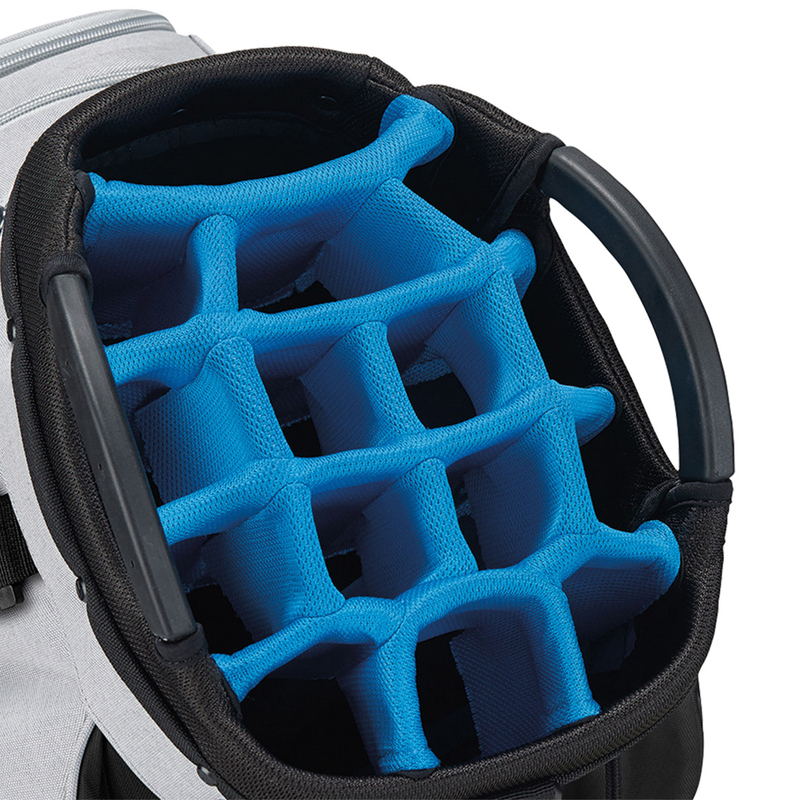 With a 15-way divider top, with lift assist handles, and built-in putter well for great organisation. 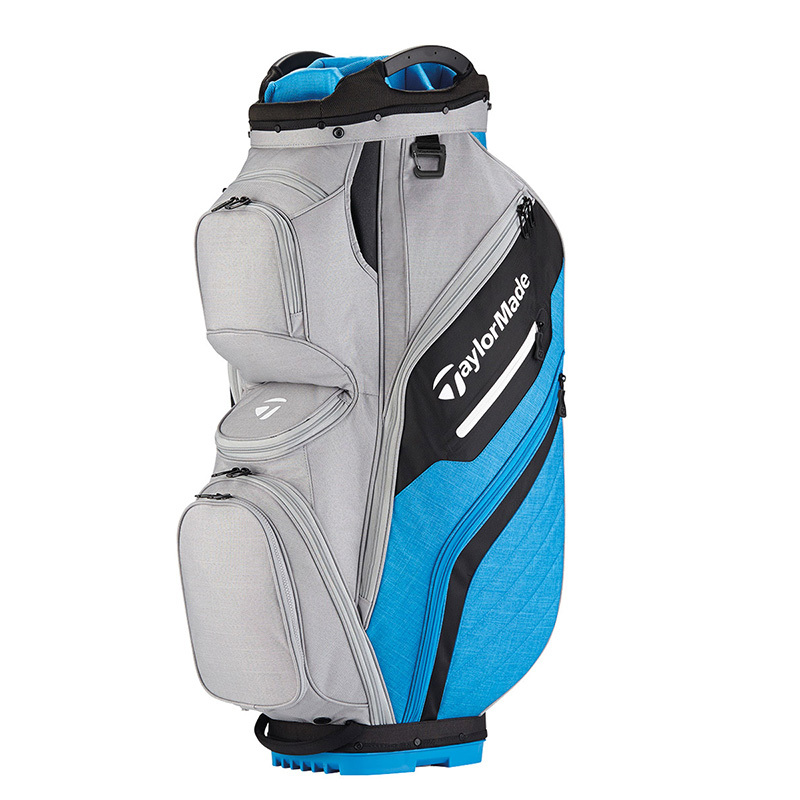 There is plenty of storage space to for all your gear, with a large Internal insulated cooler pocket, micro-suede lined valuables pocket, insulated cooler pocket with drain, and a ball and tee pocket. For ease of use the pockets are all front facing for easier access, plus has a push cart friendly base and pass through strap channel to secure your bag to your transportation. 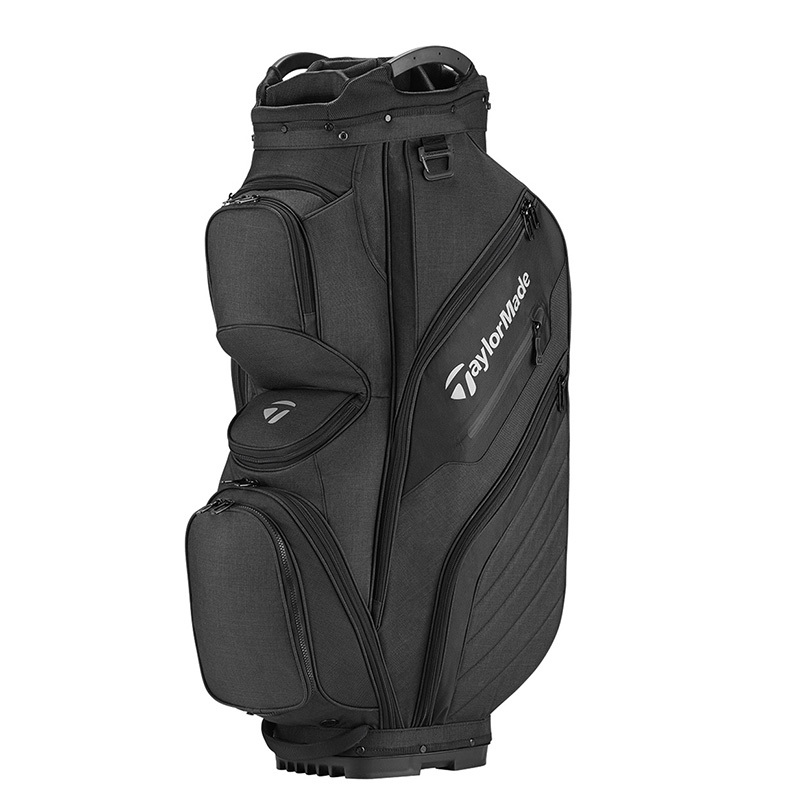 Finer details include a carabineer towel loop, single shoulder strap, and comes with rain hood to protect your clubs from the elements.